Historically elusive and difficult to measure, customer engagement has been the focus of many recent research initiatives which have demonstrated that not only can it be measured, but that even a one percent improvement in customer engagement can increase revenues and profits of an organization. Customer engagement is the emotional affinity or connection a customer develops during his or her interactions with an organization or brand – and it can spark a host of desirable actions. From speaking favorably about a company, product or brand to others, purchasing more products or even overlooking a poor customer experience or product issue. Satisfied customers will provide positive feedback which is vital for brand development and marketing. Other buyers consider this feedback when making their purchasing decisions. Happy customers will become evangelists for your brand or product, motivating friends and family to engage with you. Engaged customers are more likely to purchase your goods and services more often and in increased quantities. Engaged and satisfied customers turn out to be loyal for longer periods of time. Today’s social media savvy customers expect customer service from a variety of platforms including the usual telephone conversations as well as email, live chat, web page sharing, etc. Your customer contact management system is central to your business and its growth. In fact, it directly influences the impression your company, brand or products makes on customers and plays a huge role in customer engagement. Meeting your customers’ expectations seamlessly and spontaneously via the time and channel they prefer is one way of demonstrating your organization’s commitment to customer engagement. By continuously monitoring the customer contact system – and modifying it to keep it current with the latest technological developments – you can ensure positive customer interactions. This motto has been followed by every successful businessman for good reason. Customers not only demand attention, but also require knowledgeable guidance. Satisfied customers appreciate your efforts and remain loyal to you. Customer engagement centers who have realized the same can personalize the experience and provide better results to their clients. You must realize that your customer engagement center is the path to increase customer loyalty and, consequently, increasing company revenue. Always remember it is not about you! Buyers will want to connect to existing customers and good reviews will drive them to look for your products. 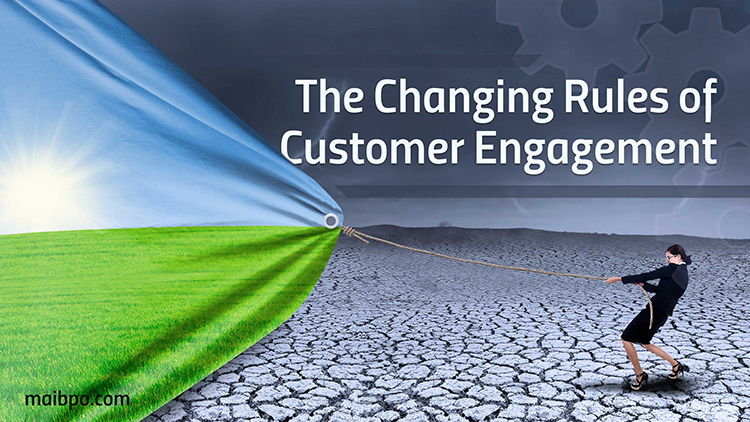 While you have engaged customers, you will also encounter disengaged customers. They are not necessarily dissatisfied customers – they simply do not have a particular reason to be responsive to your brand or to show loyalty toward it. People can only love a few brands, so to make it onto their list, you have to go out of your way to earn their loyalty. Investing in ways to reach disengaged customers can prove worthwhile as they can evangelize your brand and company. Engagement centers work to break down barriers in organizations and provide a unified front to the clients. This ultimately results in the ability to resolve customer issues faster with fewer hassles. Customers in earlier times were required to repeat their inquiries, but current technology has eliminated the need for unnecessary repetitions. Engagement centers are capable of predicting customer requirements and can work toward building a long-term relationship with their clients. Therefore, we can clearly see how important customer engagement is and how it has evolved. You need to be on your toes all the time to modify and or make necessary changes depending on what the situation demands. It is vital to continue to keep your satisfied customers happy as they are critical to improve your business and increase revenue. Learn to prioritize and your business is sure to succeed.